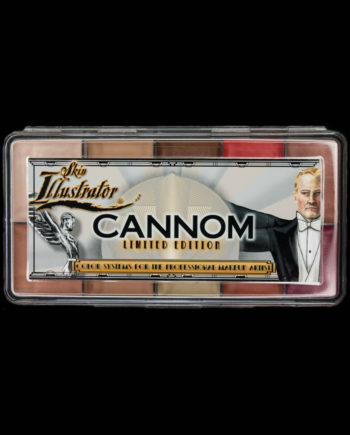 The Complexion Palette is the fifth addition to the Skin Illustrator line. 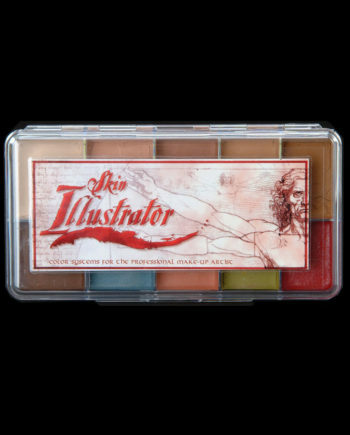 The palette was created to give artists a wider range of red tones and adjusting colors which allow the fine tuning of an appliance makeup or to help blend the appliance with the natural skin tones. 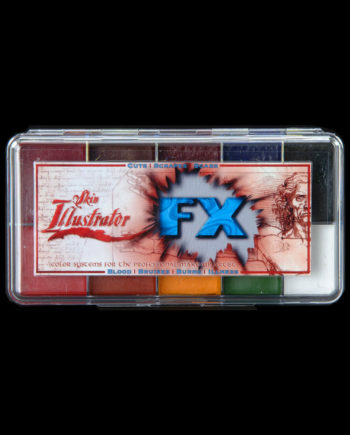 The blue based reds can be used as-is, mixed together, intermixed with all Skin Illustrator colors or with other brand colors and palettes. 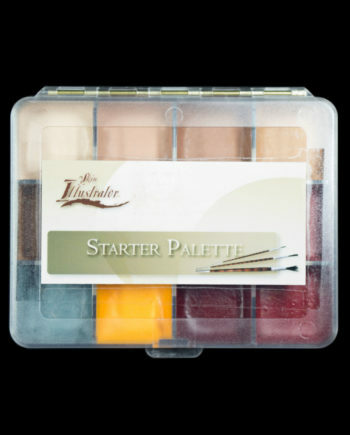 They can also be adjusted into warmer ranges by using the Light Sienna and Warm Ochre adjusters. 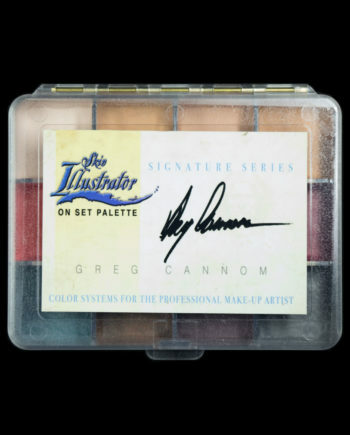 Pastel Yellow is a highlighter as well as a lightening tone. 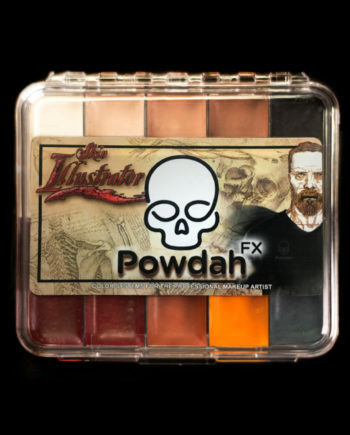 RedRum is a blood-like tone with less orange than the FX Palette‘s Blood Tone color. This allows the artist to put a blood-like flush in the face and body that can be colored to a variety of complexions. 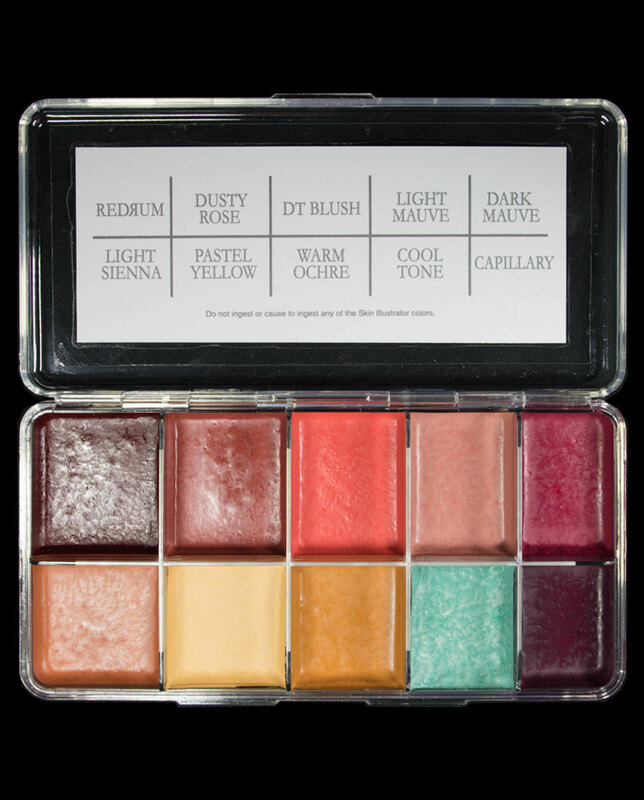 Cool Tone (fomerly Olive Adjuster) as well as bright tone favorites like DT Blush, round out a collection of colors that will make matching blush tones a breeze. 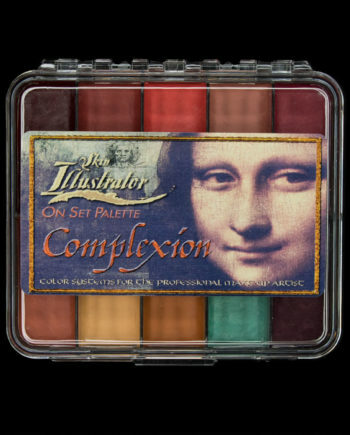 The Complexion Palette is an excellent way to fine tune your makeups — a definite must for your makeup case! 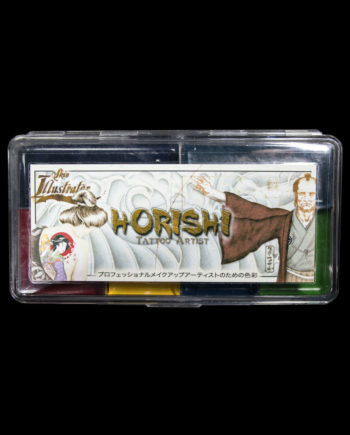 These colors are ideal for beauty, character and special effects make-up. 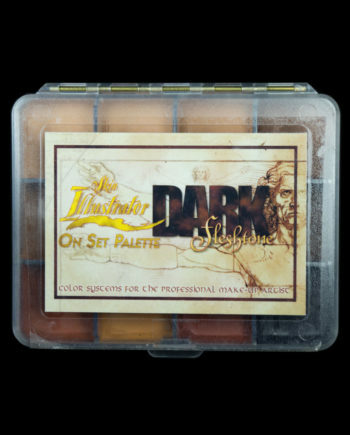 All the Complexion Palette colors are available in liquids for airbrushing. 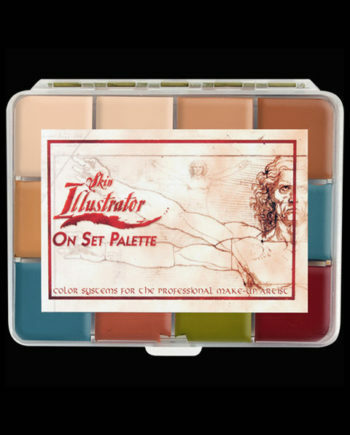 Also available, Skin Illustrator On Set Complexion Palette. 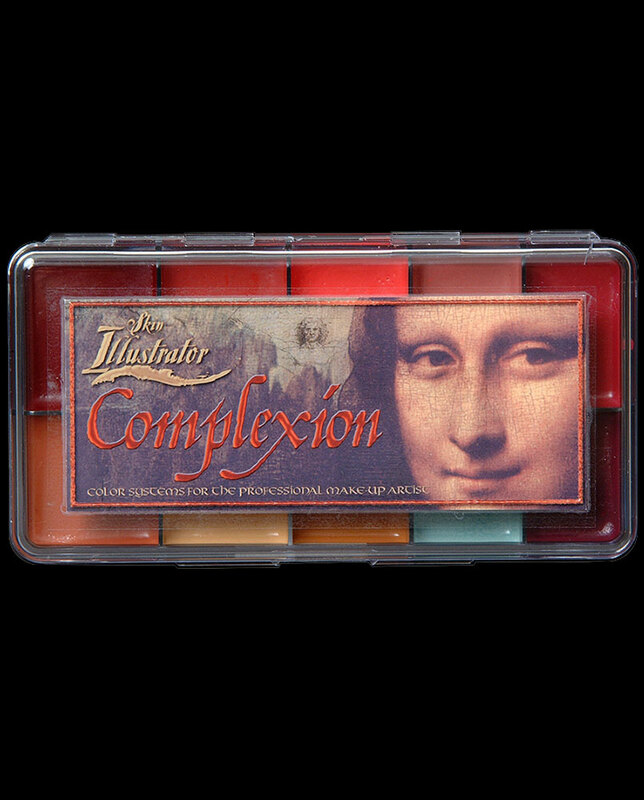 You must use Skin Illustrator Activator or 99% alcohol to activate the color pigment. 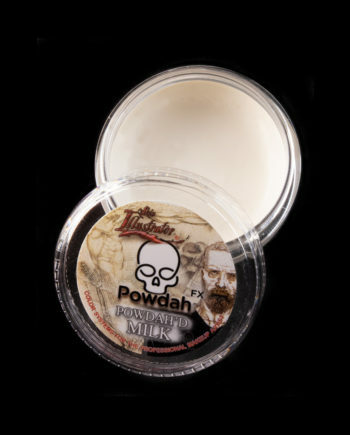 Do not use 70% alcohol, MEK, acetone, water or any other solvent.